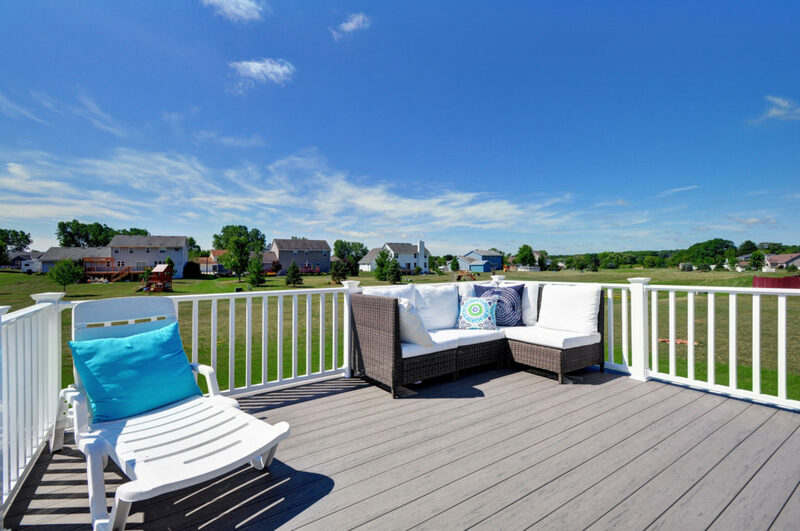 Custom decks are one of Elite Improvements strongest services. 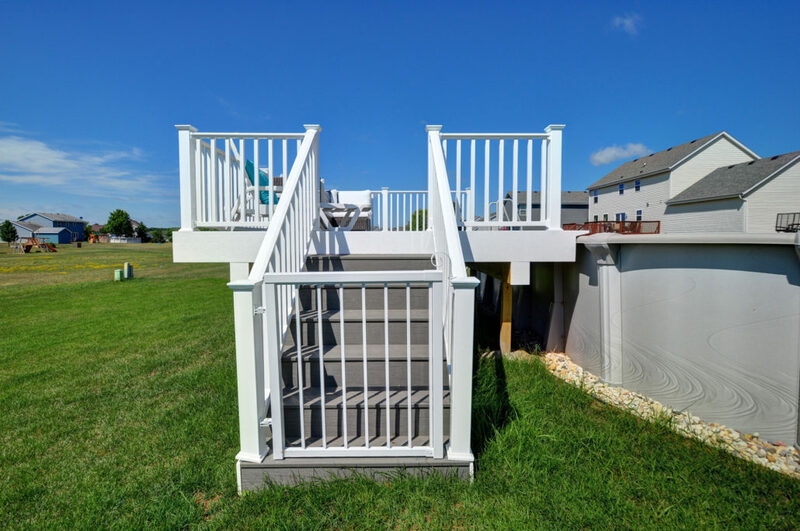 No matter the location and purpose of need, we can customize and build any style deck. 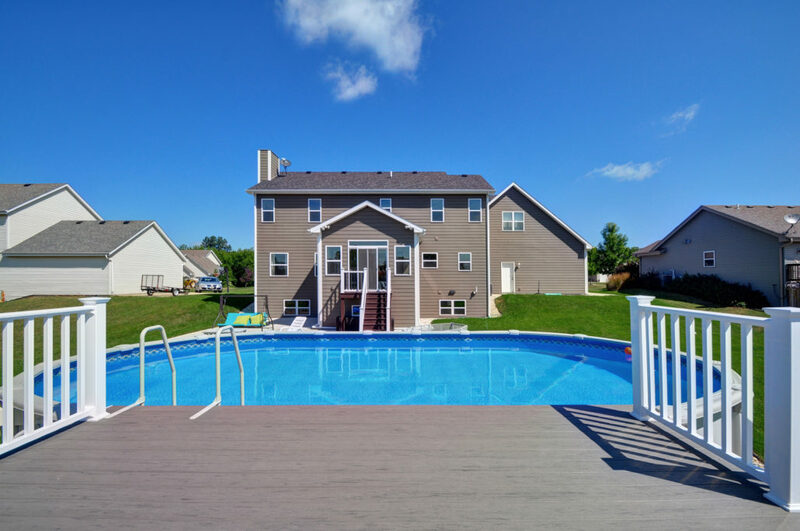 Take this custom pool deck we built in Burlington, Wisconsin for example. This is the perfect showcase of the quality and diversity of our services. 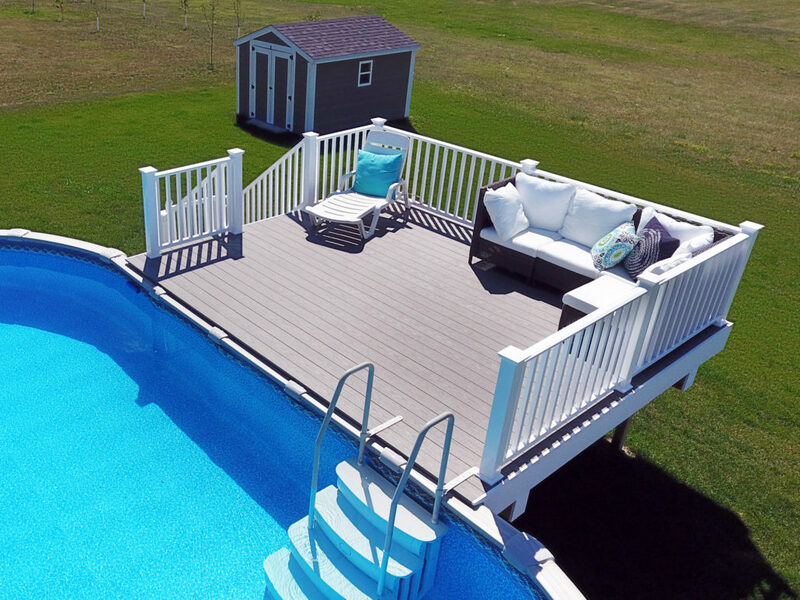 This family had an awesome above ground pool – but something was still missing. When it comes to pools, sometimes you want to jump in, sometimes you want to sit and soak your feet in, and sometimes you just want to lie out next to it. With this type of above ground pool, that wouldn’t have been as easy without adding the poolside deck. Elite Improvements helped with the design and executed the plan flawlessly. They can now enjoy a cold beverage poolside, jump in or dip their feet in. They can entertain guests or have a relaxing tan session. 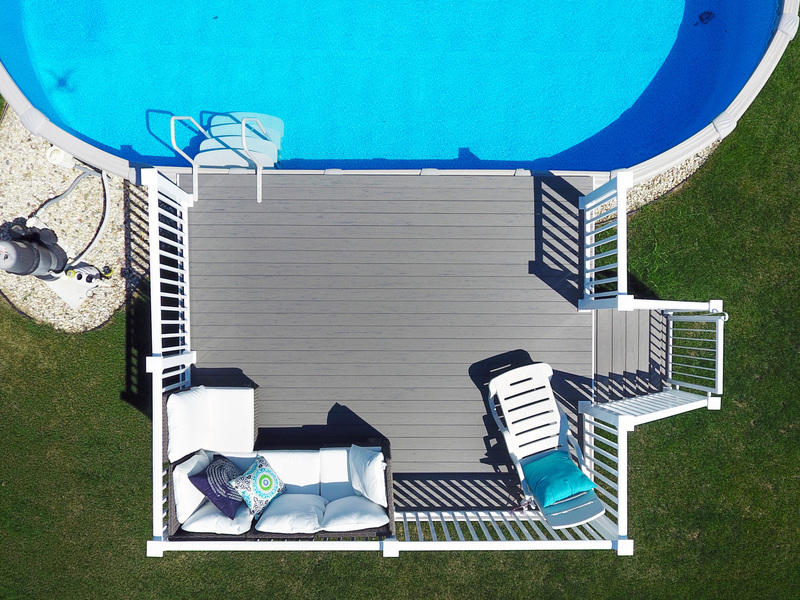 Not only is this new pool deck practical for using and entertaining – but there is undeniable value added to the property. 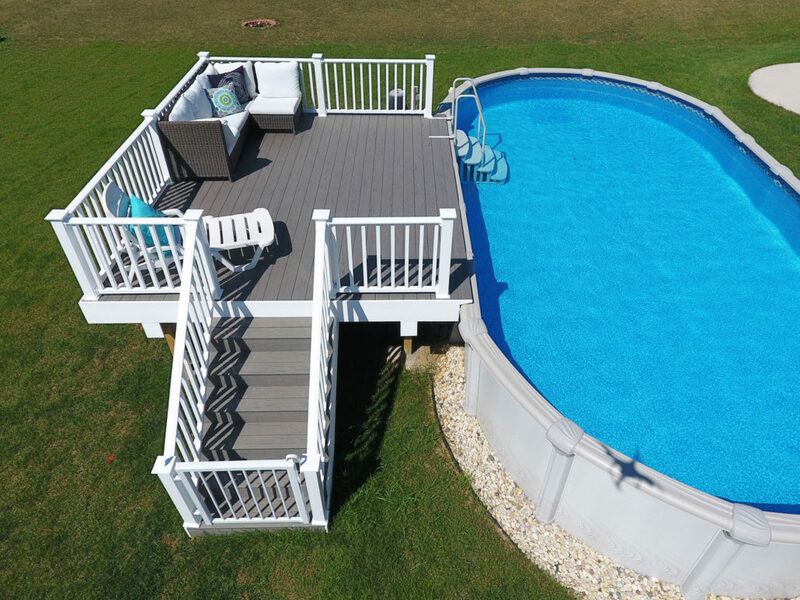 This new pool deck is an asset in visual appeal to the above ground pool as well as the yard as a whole.